It is an open secret, and evidently, no more news that the prerequisite for a certainty in an examination, and, subsequently, in results is studying. However, as saddening as it may be, most students want to eat their cake and have it – play out the whole session and wish for a good result. I am a student and will be a hypocrite to exempt myself from those who exhibit this character. We don’t want the hard work but we want the good pay – the wonderful results. I remember my lecturer would say, ” the only reason you’re in school is to study”. Even though this can be seen on a large scale, it’d be extremely improper and grossly ignorant to generalize this phenomenon and paint all students as lazy fellows. As illogical and irrational as it may seem, there are actually a few students, if not more, that are very much interested in studying, interested in paying the price for a wonderful result, but they don’t know how to go about it. In simpler terms, they don’t know how to study. Being a student, and being around and amongst students, I’d be lying if I said such people do not exist. In fact, they serve part of my motivation for penning down this article. The following are few tips on studying, particularly as I have learned and I have seen a bunch of my friends learn. Trust me, the tips that are about to follow helped me big time, and I’m not the only one they did work for. They’ve also worked for countless people that I know, why? They’re easy, quick, smooth efficient – to mention a few. In all, I stand to be corrected. First, the importance of understanding yourself can’t be overemphasized. You must realize you’re different from anyone else, no matter how similar you may seem. For instance, I used to feel reading in the night was the best time to read because I had this bunch of friends who’d play and sleep all day, and read all night and they really do come out with good grades. For one or two weeks, I’d join them to read over the night, really, these people wouldn’t even sleep one bit. They read right from 12 am down to 5 am, meanwhile, I had already started snoring at 1 am. I never completed an overnight session no matter how had I tried. Even though I slept the whole day, I still find myself wanting to sleep at night. I had to wake up from my delusion and come to my senses and I started utilizing my days to read. If it doesn’t work for you, don’t dare it! I remember also copying my friend to read with my ears blocked with loud music from my headset. I’d always come down with headaches but he, he’d always stay top in class, I had to realize how dumb I was. Understand your strength and weaknesses. Because Student A can do this doesn’t mean I must do it, even though I can. Whatever studying style you decide to choose, once it’s slowing you down or it’s not even working for you, abandon it asap. Never forget your pen and paper for jotting. Often times I’d be confronted with a big textbook and even after reading the first page, my vibe to read is already dead and buried. When reading a textbook, a slide, a handout, from the net, whatever thing it is, except your note, face the thing with a pen and a paper. Make sure to jot the vital points as they’re the things that matter. Not only does jotting help you organize your reading, it also aids your comprehension. Words employed in most reading materials are sometimes ambiguous or hardly comprehensible that it becomes so hard for us to assimilate it. By jotting, you can grab the ambiguous words and rephrase them in a way it’s very much easier to comprehend without defeating the purpose for which the word was used. Studying ain’t that hard, is it? Timing is everything. Timing is life. The moment time is misplaced, it’s wasted. You can liken time to a non-renewable resource. Just like in every aspect of human living, time is very much of an important factor in studying. You must understand that time slated for a particular course of study must be strictly adhered to, else, you might find yourself doing the right thing at the wrong time. 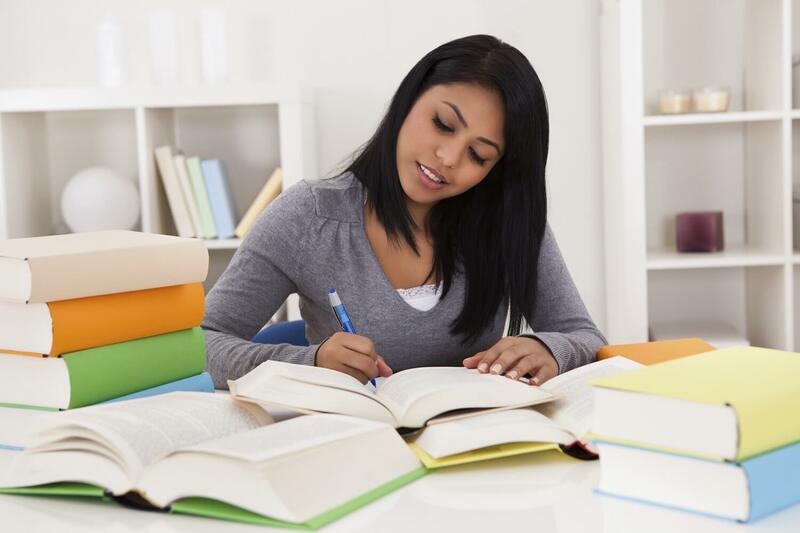 Timing yourself during study makes you more focused on achieving the particular study goal. If there are no study goals, what then is the aim of the study? With the incorporation of time as a part of the prerequisites for study, it’d be improper to not shed light on the importance of goals. When a time frame has been created for a study session, goals must’ve first been in existence. This is the major prerequisite for studying. The moment focus is recorded absent in the mind of the person planning to study, the session will ultimately fail as distractions, in their numbers, are more than the sands of the seashore. When there’s focus, there’s a drive, a motive and studying won’t be as hard as it seems. Left to me, develop the focus and other things will instinctively follow, as in my case. I strongly believe, if these tips are followed, or at least put into practice, less, if there’d be any, disappointments will surface and exams would be a thing of joy, and results will be a thing of…. wonder. P. S; the tips are arranged in no order.